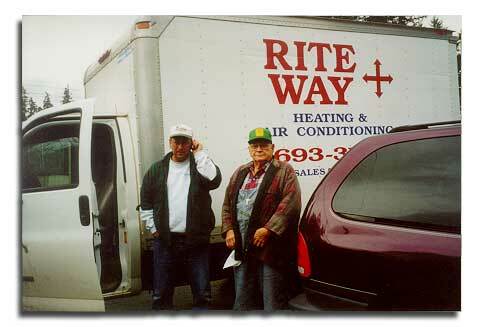 Riteway Heating is a local, Family owned, Full service contractor. Three generations of our family have made their careers in this company and community. We have become one of the largest HVAC contractors in the valley by simply providing the best value, and good old fashioned customer service. We also have a broad base knowledge to offer each situation we encounter, and can fit almost any budget! From Residential, High efficiency furnaces, Heat Pumps, Air Handlers, Geothermal, Radiant, Reverse Cycle Chillers, Indoor air quality issues, Commercial, etc.. Give us a call and join the many satisfied customers that have become our "extended Family"
This is the year to install the GeoSystem you've been thinking about. The American Recovery and Reinvestment Act of removes the $2,000 cap on the 30% Tax Credit for geothermal heat pump systems. Now you get a true 30% tax credit for your whole system. Just another great reason to install an ECONAR GeoSystem.